It's Prairie Story Recipe Swap Thursday! I can't beleive all the amazing recipes that everyone has been sharing! I also can't beleive Christmas is next week! Are you ready? Recipe Swap Thursday's most popular recipe last week was Peanut Butter Balls @ Coupon Cookin'. Yum, yum, yum, yum, yum! Be sure to visit her blog and all the other recipes! 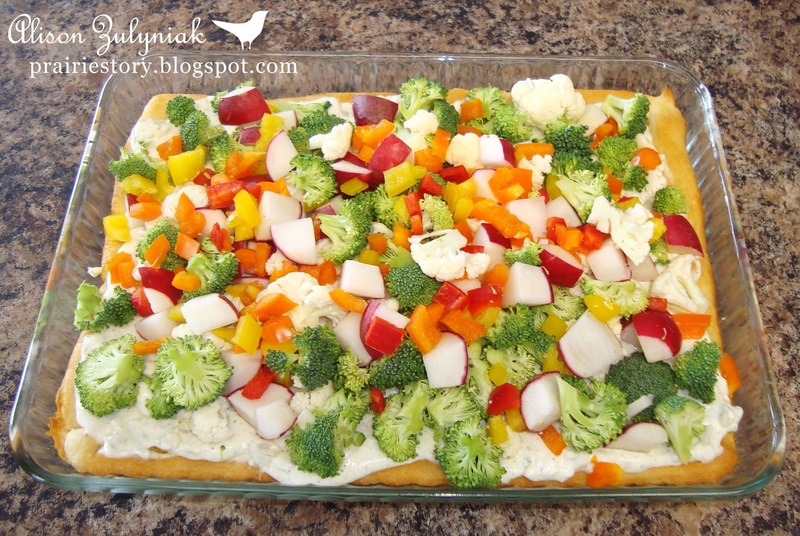 This week I've posted a new recipe - my Veggie Appetizer Pizza. That appetizer looks wonderful!! I love things like that, thanks! Good looking appetizer! I linked up venison roast this week. Thanks for hosting!! It is great that you are getting so many wonderful recipes. I am proud to have my two blogs represented. I just found your blog tonight! I linked to my recipe for Gluten Free Pumpkin Cake. It can also be made with "normal" flour if you don't have issues with gluten. This cake is so easy because it is made in your blender, then you just add beaten egg whites and bake! Happy Holidays! I really enjoyed 12 Days of Christmas Baking! thanks so much for sharing! Would you be kind and link this up to Let's Do Lunch,Breakfast & Brunch. It is perfect for this.